Photo credit: Johaness Terra, UN Women. When Stephanie Copus-Campbell first worked in Papua New Guinea nearly 20 years ago, she was struck by the absence of services for women and children experiencing violence in their homes. Ms Copus-Campbell is now the Executive Director of Oil Search Foundation in Papua New Guinea. She has authored an article reflecting on the changes that have occurred over the past two decades that have improved the environment for women’s empowerment. 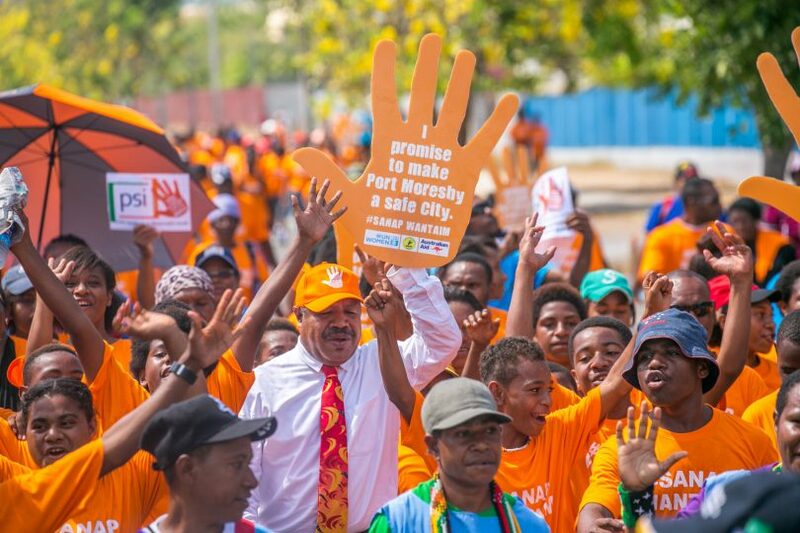 The article highlights the positive role that Papua New Guinean civil society and local organisations have and are playing in effecting changes toward ending violence against women. Pacific Women works with a range of local organisations with a view to them sustaining themselves into the future. The author identifies this type of support as essential to the growth of civil society and credits the growth and strengthening of civil society as being of critical importance in creating better services for survivors of violence. The article mentions the innovative approach taken by the Bel isi PNG project. This project is supported by the Australian Government in partnership with the Government of Papua New Guinea through Pacific Women. Bel isi PNG brings the private sector, civil society and government together to provide services and inspire leadership to address family and sexual violence in Port Moresby. Through the project, family and sexual violence services are available on a subscription basis for businesses and on a referral basis to the public. Priority is also given to promoting business as leaders and advocates to shift norms and behaviours in relation to the acceptance of family and sexual violence.